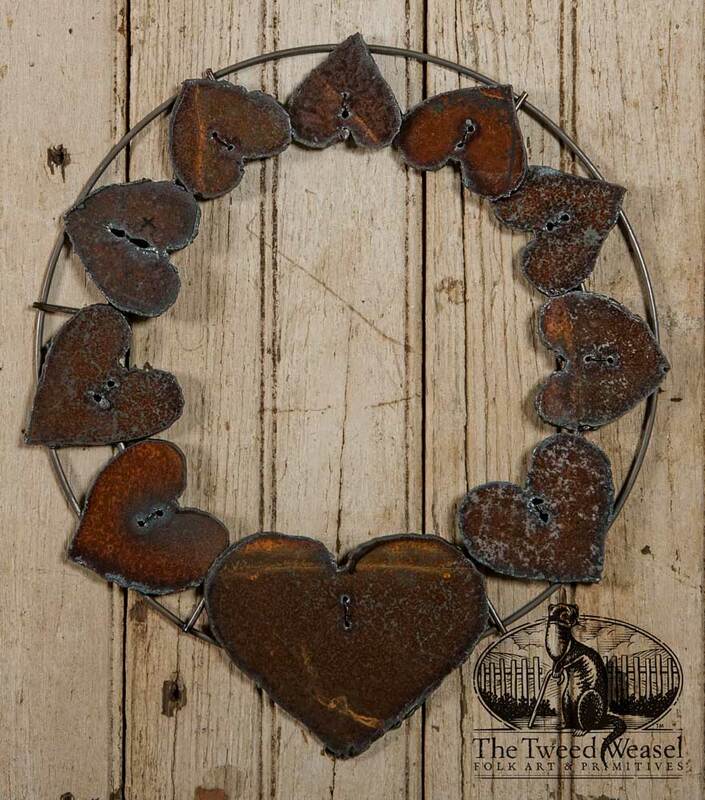 Our Rusted Steel Hearts Wreath features 10 plasma-cut hearts of varying sizes. 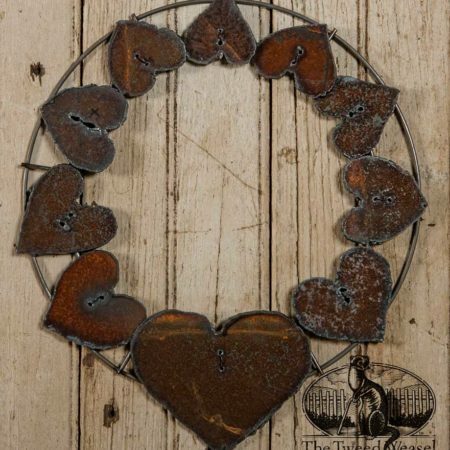 Each is cut from 1/8-inch steel and wired into a radius design on a strong wire frame. Only one wreath is available for immediate shipping. $120.00 Add to Wish List What is this?